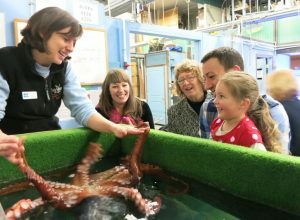 The Eugene Register-Guard examines what OSU scientists – some of them working with Oregon Sea Grant funding – are learning about the causes and consequences of ocean acidification. 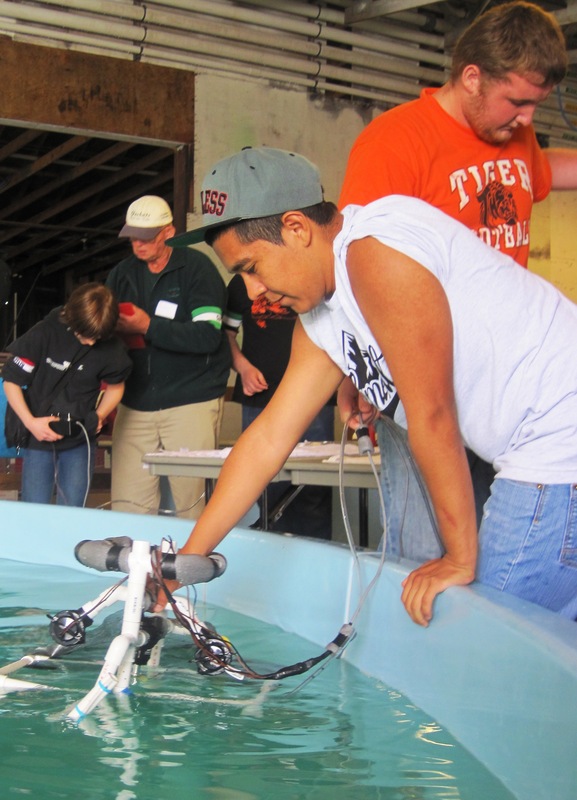 LINCOLN City – More than 100 junior high, high school and college students will converge on the Lincoln Community Center this Saturday (May 4) to compete in the Oregon Regional Marine Advanced Technology ROV Competition – and a chance to advance to the international finals. Teams from Albany, Astoria, Corbett, Corvallis, The Dalles, Eddyville, Lincoln City, Salem, Toledo, Portland and Waldport are expected for the competition which runs from 8:30 am to 4:30 p.m. at the community center, 2150 NE Oar Place. The event is open to the public. Competing teams, ranging from 6th grade to college age, have designed and built tethered underwater robots known as remotely operated vehicles, or ROVs. The annual competition is sponsored by Oregon Sea Grant, the OregonCoast STEM Center, and the Oregon Chapter of the Marine Technology Society, and is intended to encourage Oregon students to learn and apply science, technology, engineering and math skills. Full-scale ROVs are widely used in scientific research, ocean exploration, homeland security, the offshore oil and gas industry, and other industries. This year’s contest highlights the role ROVs play in the installation, operation, and maintenance of ocean observing systems, collections of high-tech instruments above and below the waves that provide around-the-clock information about what is happening in the ocean. Via fiber optic cable, the data collection equipment continuously communicates information to scientists, engineers and technicians who use it to understand and make predictions about the ocean, coast, and ocean resources. 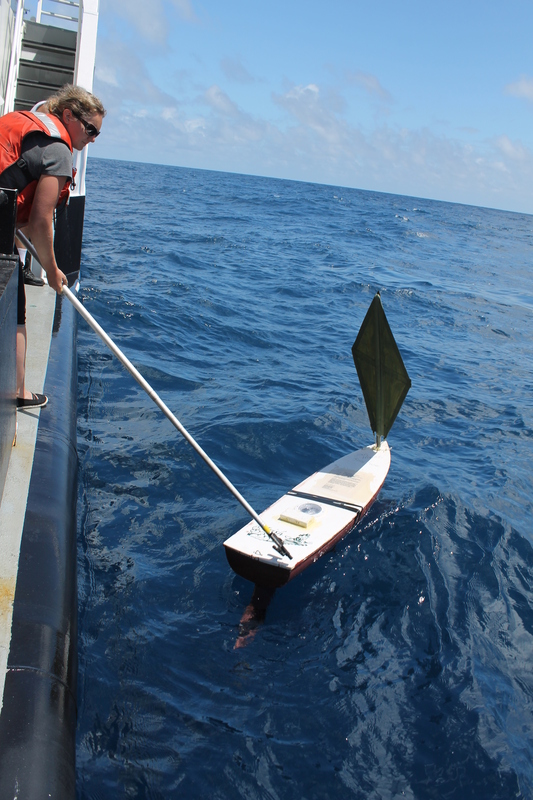 Ocean Observing Systems provide critical information on climate change, toxic algal blooms, tsunamis and other ocean hazards. Competing teams must pilot their ROVs to perform a variety of underwater mission tasks, from installing a simulated power and communications “hub” and scientific instruments in order to complete a seafloor ocean observatory to removing bio-fouling organisms from instruments and performing maintenance on moorings. The winning team will advance to the 12th annual MATE International ROV Competition, June 20-22 in Federal Way, Wash. The regional MATE program, one of 22 such competitions around the world, is supported by local sponsors including the Marine Technology Society, the Oregon Coast Regional STEM Center, OSU’s Pre-College Programs, Northwest Aquatic and Marine Educators, the Siletz Tribe Charitable Funds, the Oregon Coast Aquarium, Pro-Build, Advanced Research Corporation, and the NOAA Officers Family Association. Local marine technology professionals volunteer as judges for the competition, evaluating the students’ ROVs, poster displays, and engineering presentations. 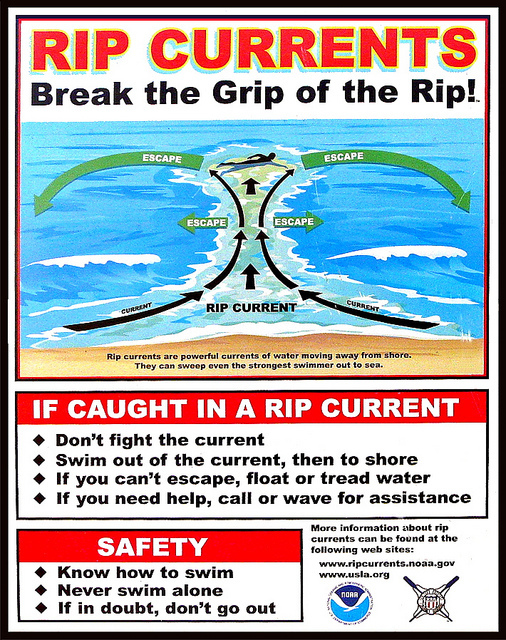 Rip currents – strong channels of water flowing seaward from the shore – kill more Americans than do hurricanes. Caught off guard, people are swept out to sea, where they exhaust themselves swimming against the pull of the strong, outrushing current, and drown. 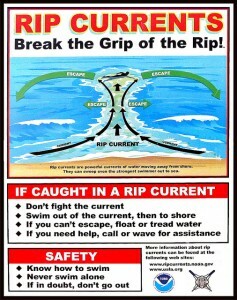 While scientists and the National Weather Service have made progress predicting the probability of rip currents in given locations, they so far lack a method ot accurately forecast whether and when they’ll actually occur, and how strong they might be. Oregon State University’s Tuba Ozkan-Haller is hoping to change all that. For the last five years, she’s been working to develop a model to identify the location of rip currents up to a day in advance – something that would be a boon to swimmers, surfers and lifeguards around the world, and could save hundreds of lives a year. Ozkan-Haller, an associate professor in OSU’s College of Earth, Ocean & Atmospheric Sciences, surveys the topography of the ocean floor to figure out how waves will travel over it; this allows her to see how that mass of water can escape back from shore via a rip current. She plugs these factors into a mathematical model she developed that predicts where and when rip currents will occur – and how strong they will be. Helping her efforts are cutting-edge surveying technologies that allow her to observe properties at the water’s surface and infer the underlying bathymetry from those observations. This is a much more efficient and accurate way to get a sense of the sea floor than the standard procedure of surveying from a boat. The rip current effort is part of Ozkan-Haller’s broader interest in underwater coastal topography and how it helps shape the ocean’s waves. 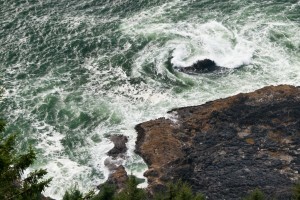 Oregon Sea Grant has supported some of that work, including a related project to develop a model for predicting nearshore wave patterns and heights. A reliable wave forecast system would benefit navigation, fishing, transportation, beach safety and even wave-energy siting. Nearshore Wave Predictions Along the Oregon Coast – Dr. Haller’s 2010-2012 Sea Grant-funded project. 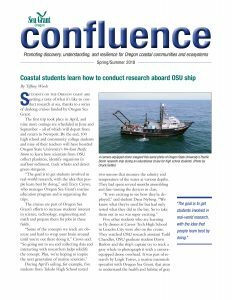 Oregon State University has been chosen to lead a project to design and build as many as three new coastal research vessels, the first multi-ship expansion of the National Science Foundation’s academic research fleet since the 1970s, and one intended to boost the marine science research capabilities of the United States. The new vessels, which could take a decade to design, build and equip, will become part of the University-National Oceanographic Laboratory System, the nationwide program which provides research-capable ships to universities which could not afford to build and own the vessels themselves in order to advance the nation’s marine science capacity. OSU initially will receive nearly $3 million to coordinate the design phase of the project – and if funds are appropriated for all three vessels, the total grant is projected to reach $290 million over 10 years. The first phase of the project is scheduled to begin early this year. The final number of ships constructed, and where the vessels will be berthed, will be determined by the NSF based on geographic scientific requirements and availability of funding. If all three vessels are built, it is likely that one each would be positioned on the East Coast, West Coast and Gulf Coast, officials say. As part of its proposal to lead the effort, OSU proposed to be the operator of the first vessel. Distributing the vessels geographically allows scientists from all over the country to book research cruise time from locations nearest to the ocean and coastal areas they are studying. 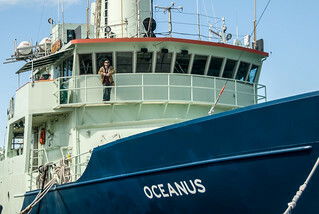 The university now operates the R/V Oceanus, which replaced the R/V Wecoma when it was retired from service last year and sent away to be scrapped. 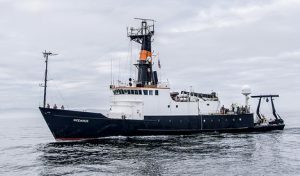 Both vessels dated to the mid 1970s, and the Oceanus is expected to be ready for retirement about the time the new research vessels become available. A project team led by Oregon State’s College of Earth, Ocean, and Atmospheric Sciences will finalize the design for the 175-foot long, technically enhanced Regional Class ships, select a shipyard, oversee construction, and coordinate the system integration, testing, commissioning and acceptance, and transition to operations. OSU vice president for research Rick Spinrad, who previously directed research programs for the U.S. Navy and the National Oceanic and Atmospheric Administration (NOAA), said the new vessels would “revitalize and transform” coastal ocean science in the United States. The project had the support of Oregon Gov. John Kitzhaber’s Office, noted OSU President Ed Ray, who said the university will benefit from the process long before the first ship hits the water in 2019 or 2020. The successful OSU proposal was submitted to the National Science Foundation by Clare Reimers, an oceanography professor, and Demian Bailey, the university’s marine superintendent. As part of that submission, OSU proposed to be the operator of the first vessel. Additional operating institutions will be determined once the total number of vessels to be built is known. Photos from the 2012 Wecoma decommissioning and Oceanus commissioning event. 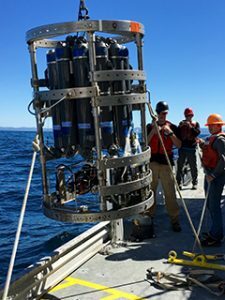 TILLAMOOK – Hypoxia and ocean acidification get a lot of press, but how many people know what these phenomena are, what causes them and what they mean for marine species and coastal communities? Now’s the chance to find out, in an Oct. 23 public forum that aims to take some of the mystery out of the science behind measuring, understanding and minimizing the effects of of these ocean conditions. The forum, starting at 6:30 pm in rooms 214-215 at Tillamook Bay Community College, 4301 3rd St., is free and open to the public. Pre-registration is encouraged, but not required. For more information, visit the PISCO Website. Why this is happening off our coast and what makes Oregon vulnerable – Burke Hales, OSU College of Earth, Ocean and Atmospheric Sciences (CEOAS). Speakers will be followed by a question-and-answer panel featuring scientists and representatives of the Oregon Department of Fish and Wildlife and the National Oceanic and Atmospheric Administration. The event is hosted by PISCO through funding from Oregon Sea Grant. NEWPORT – Michael Courtney and Annie Thorp, longtime volunteers at Oregon State University’s Hatfield Marine Science Center, return to sea this week as support crew for Dr. Clare Reimers, an ocean ecologist and biogeochemist with OSU’s Colleage of Earth, Ocean and Atmospheric Sciences, who is studying the role of seafloor processes in ocean chemical cycles, the influences of low oxygen conditions on ocean biology, geology and chemistry, and new electrochemical tools for ocean observing networks. Courtney and Thorp, who are husband and wife, have been volunteering at the HMSC Visitor Center since their retirement and have offered their services to shipboard research teams since 2009. They plan to once again chronicle their adventures in words and photographs through their blog, Buoy Tales. This voyage will be on board the R/V Oceanus, OSU’s new research vessel. The research team is loading and setting up equipment today, and expects to depart tomorrow for a cruise lasting until Oct. 15, taking the science team to the waters of the the continental shelf off the Pacific Northwest coast.